Canadians nationwide are scammed hourly by scam locksmith companies. Click the link above to learn more about it so you're not another victim when choosing a locksmith company. Our commitment to top quality service is second to none. Our staff will go that extra mile to ensure that our customers are pleased with the job we have done. From unlocks to securing your home or business, be confident that the Calgary locksmith company you hired will complete the job to the high standards that you expect. We strive to earn your business as your Calgary Locksmith company. Our eight van fleet has been servicing Calgary and surrounding area since 1998 and now Always Affordable Locksmiths Ltd is a National Company servicing cities throughout North America. 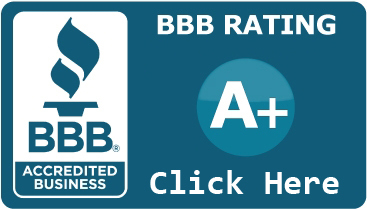 Always Affordable Locksmiths Ltd is an A+ member of the Better Business Bureau under Calgary Locksmiths and we are also Bonded and Insured. We have been working with thousands of companies in Alberta and have earned their respect with hard work, punctuality and our commitment to providing all of our customers great service. We love to hear from customers that we were recommended by another client. Ask An Expert is a great resource for our customers to find tips on securing their valuables or just wanting to keep up on the latest security options available on the market. From ways parents can coach their family on the importance of staying safe and secure in the comfort of their own home to getting more information on types of locks and keys. You can either search through different articles or there is a search option available. Enjoy. I was referred to affordable by a key cutter at one of the big box Hardware store. They could not copy a few padlock keys so he told me to go to affordable. I was met by a friendly staff and given great service. I was most impressed as the keys I wanted cut were for padlocks on a house oversees. They were able to find the correct blanks and I was out in a flash. Thank you. You came highly recommended and they didn't disappoint. For the past few years this is THE ONLY Locksmith company I have been using - great service. Trying to get Jeff Van Steenoven for any work I may have - super guy! Knows his stuff and does excellent job on installing locks, explaining how they work (some of the locks he installed are very sophisticated) etc. Locksmiths are super knowledgeable, in some cases were super fast (and in other cases never wasted any time), locks work like a clock after, keys cut and always fit perfectly...Prompt service, courteous staff, reasonable pricing. In fact for the quality they provide they are probably under-priced. Highly recommend them. . Very professional, showed up on time, charged me what they said to me over the phone. Was locked out of my house with two kids. I locked keys in house and couldn't get into my car as well. I am lucky I had my phone. Called Affordable Locksmiths and they sent a guy in 15 minutes. Terry let me and the kids sit in his van to warm up while he opened the front door. He got in so fast that we didn't get a chance to warm up. Great Service! !